Safety can be defined as freedom from injury or risk. It relates to the safety experienced in the transport process (absence of conflicts and accidents in traffic). Thus, traffic safety implies that all journeys and trips made to a specific location are made without any accidents or unsafe feelings. 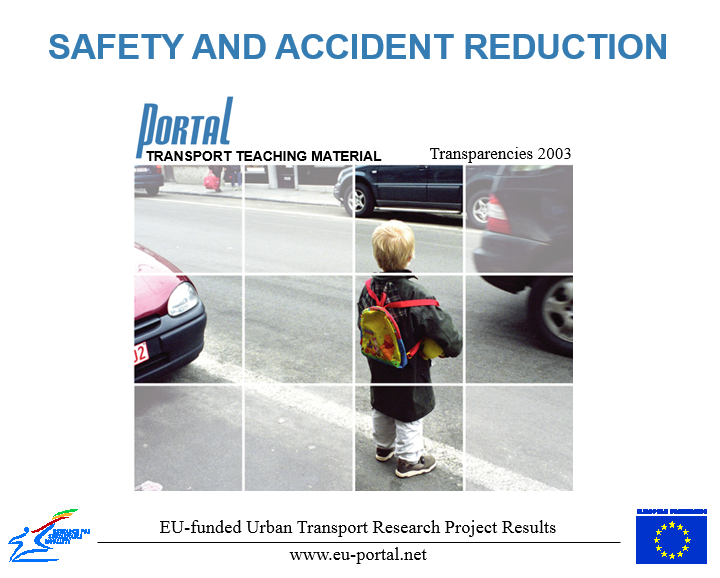 The training material, produced by the PORTAL project, summarises a number of traffic safety measures and approaches that have come out of European research projects. An integrated approach is needed to address the traffic safety problem. All measures and methods described in this book should therefore be interpreted and considered in relation to each other, even though they are split up here into the three parts - Engineering, Enforcement and Education - for reasons of clarity.